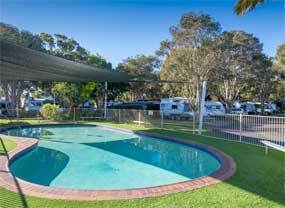 THE Sunshine Coast's council-owned caravan parks are bracing themselves for a bumper Easter. 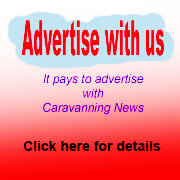 There has been a surge in bookings for sites and cabins as holidaymakers shake off the miseries of the recent bad weather. 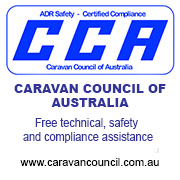 And the Queensland council has warned that locals will have to be quick to snap up the few sites available at its six caravan parks, which it describes as the "perfect staycation option for the Easter break". Tourism, Events and Sport portfolio holder Councillor Jason O'Pray believed that a few days at one of the council's holiday parks was a great option for locals who wanted a break without a long drive. "There's nothing better than that feeling of camping and getting away from technology and enjoying the great outdoors," he said. "Whether your interest is swimming, surfing, boating, fishing, bushwalking or just relaxing, locals will need to be quick to pick up the last remaining Easter holiday vacancies." Cr O'Pray believed everyone needed a chance to stop once in a while to enjoy quality time with family and friends. "Once you set up camp, you can simply sit back and do as much or as little as you like," he said. "Our holiday parks organise fantastic activities to keep the family entertained. 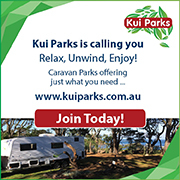 "For example, Mudjimba Beach Holiday Park has again organised food vans which will make dinners a breeze, as well as movie nights. "To add to the fun there are interactive games and crafts such as Combat Archery and Sand Art. "And of course the popular bingo makes a return with the help of generous local businesses supplying vouchers and prizes." The council's six beachside holiday parks are located at Dicky Beach, Mooloolaba, Maroochydore, Cotton Tree, Mudjimba and Coolum.